If you drive West through Hungerford and take the minor road to Swindon you eventually come to the classic English village of Aldbourne with its distinctive church (pictured). There is a village green, two pubs and a post office come shop come café. What has all this to do with the world of Doctor Who, I feel you ask? 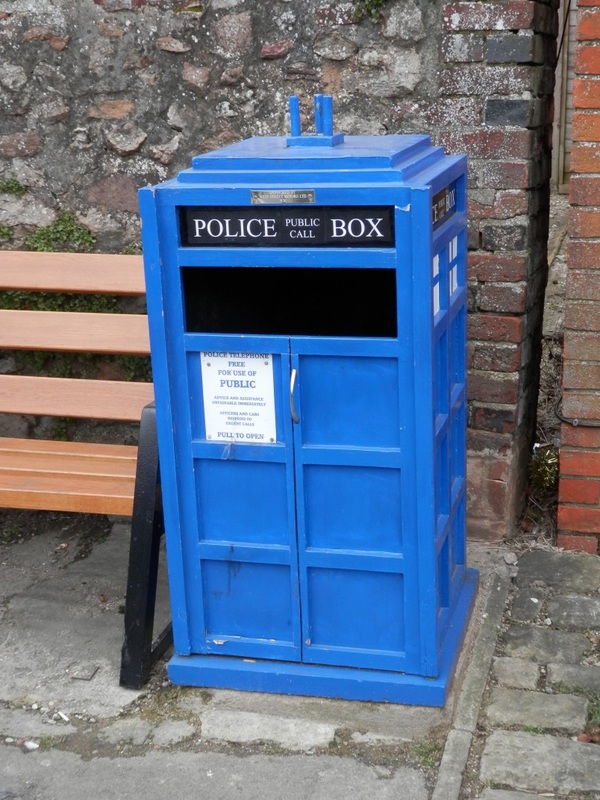 Well carry on and find out when I show you the waste-bins! 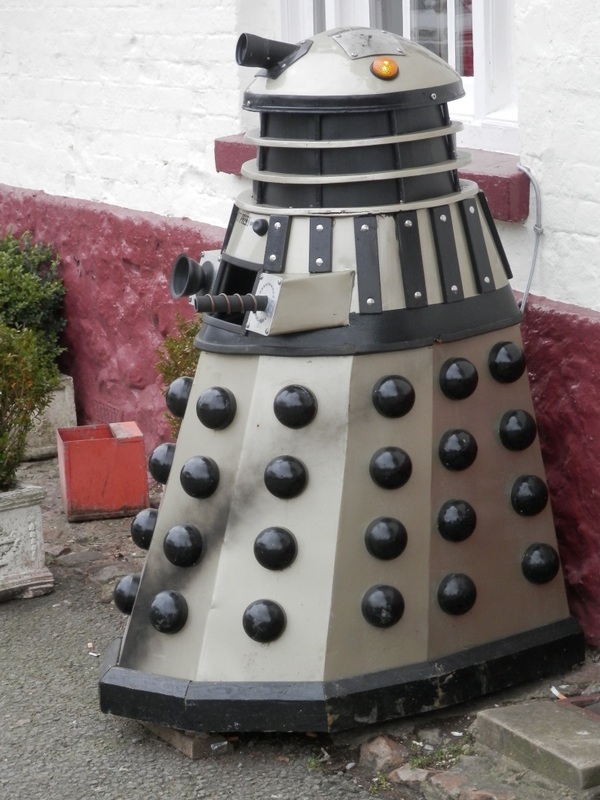 Yes, your eyes are not deceiving you; there are two local waste-bins made up as a Dalek and the TARDIS.The Dalek even has a button marked ‘Do Not Press’; naturally when you do it intones ‘EXTERMINATE’. Why would this be so? Why does an unassuming Wiltshire village sport such strange trophies? Back in the mists of time the BBC came to Aldbourne. They changed the name of the village to Devil’s End and used it for the location shooting for the Third Doctor story The Daemons. Over 40 years later the village still shows its connection to the show, and why not! The church (pictured) was blown up at the end of the story (as a model) the BBC had complaints. Those were the days! Very interesting and , yes the seventies were good. Thanks. The only disappointment I had was not finding a maypole. Maybe I will go back in May!